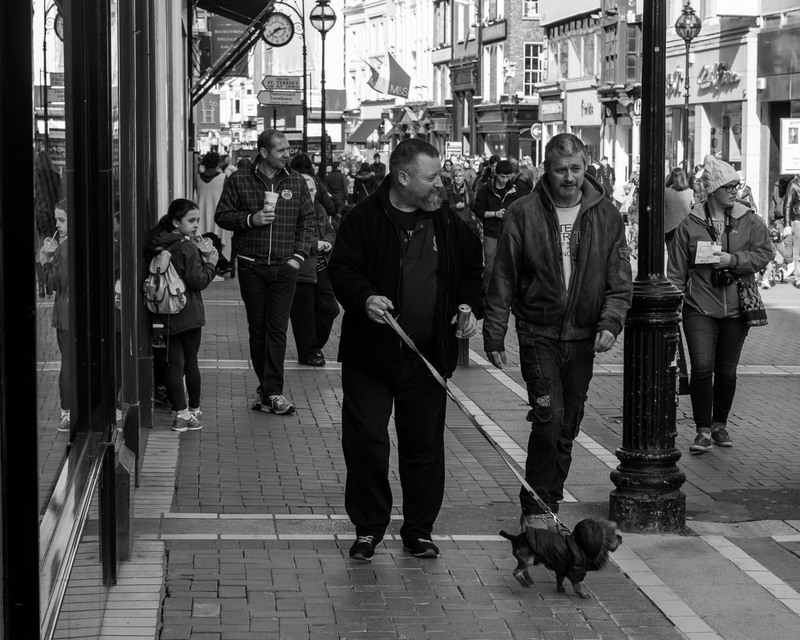 Not counting the recent St.Patrick’s Day festivities in my home town, it’s quite a few months since I took to the streets to get a few photos. 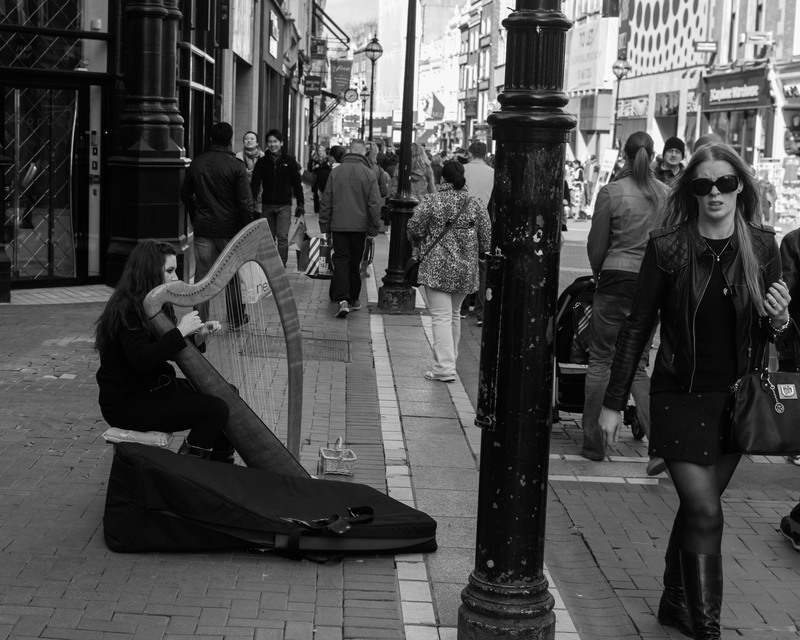 I don’t really classify my Paddy’s Day parade shots as ‘street photography’ as such. 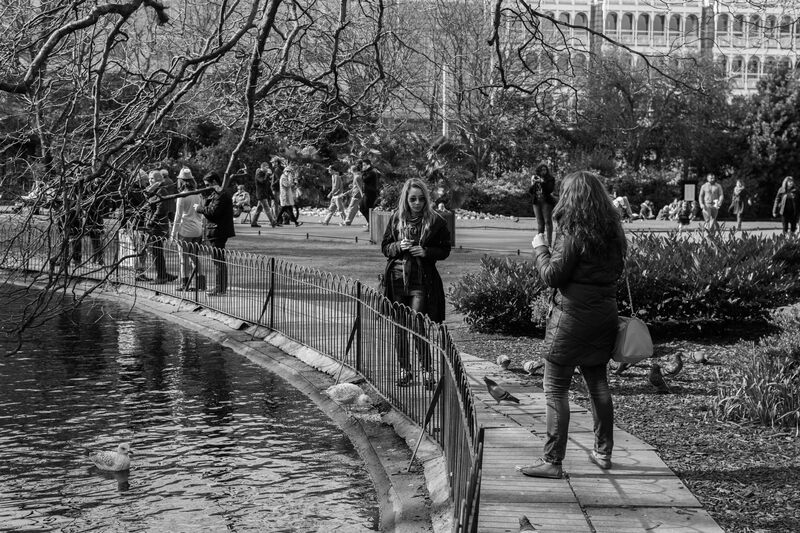 It isn’t too difficult to find something out of the ordinary and worthy of interest, and most people are expecting you to take photos of them!. 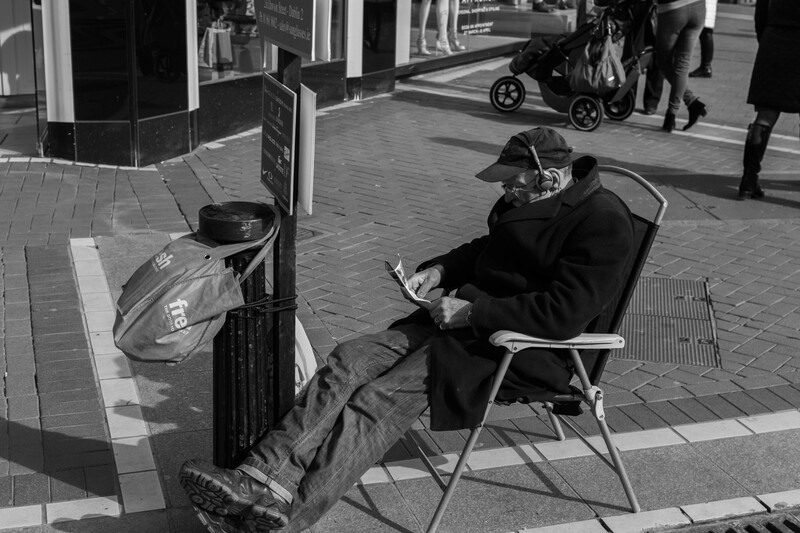 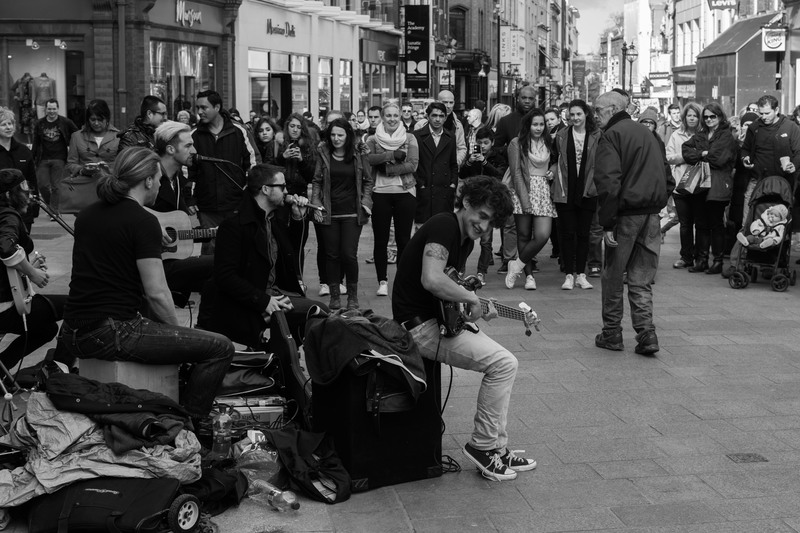 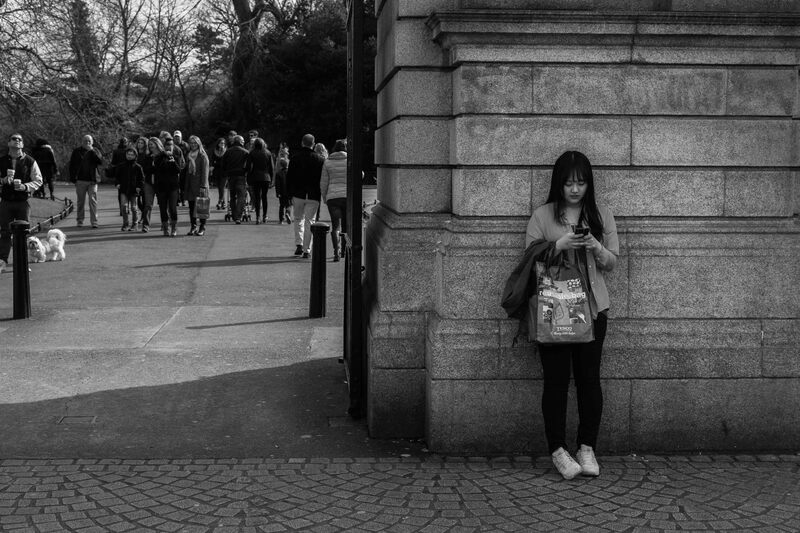 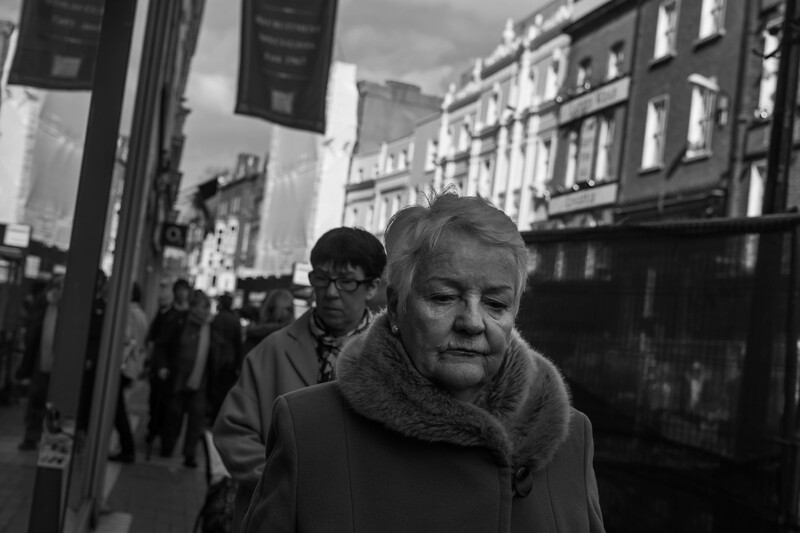 It’s more of a challenge to find interesting shots on a normal afternoon on the streets of Dublin. 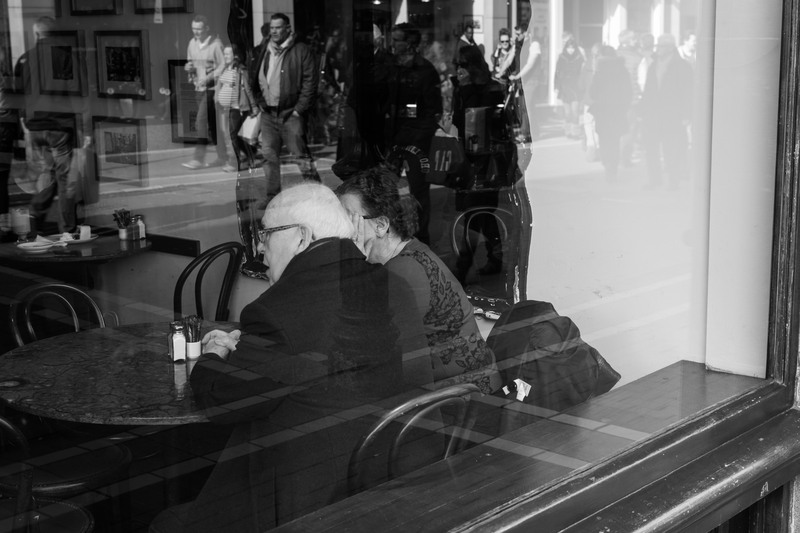 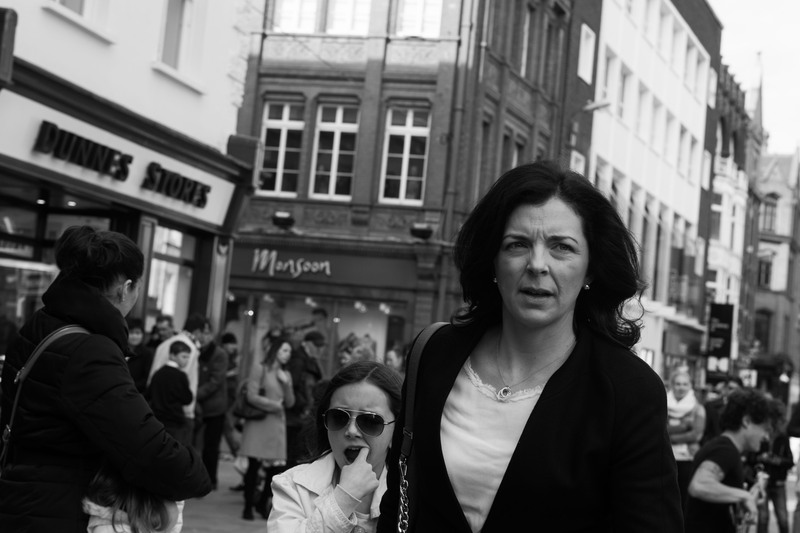 Everybody is just going about their business – and not expecting to be photographed in the process. 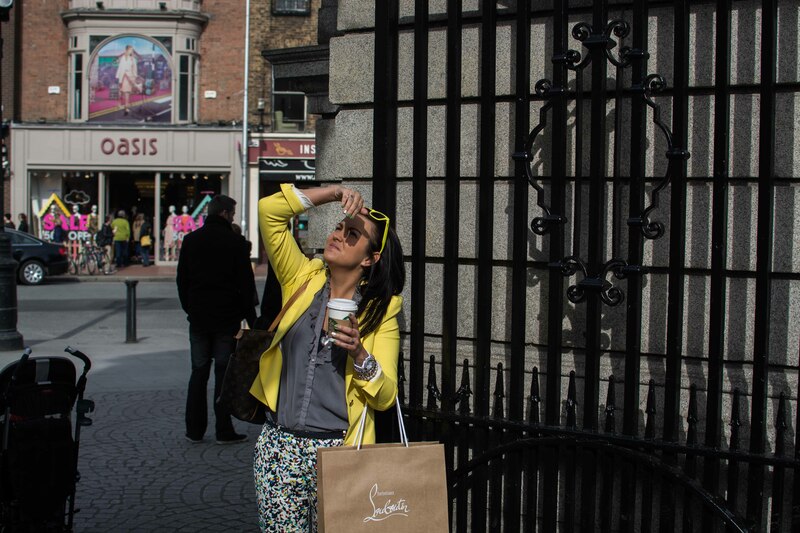 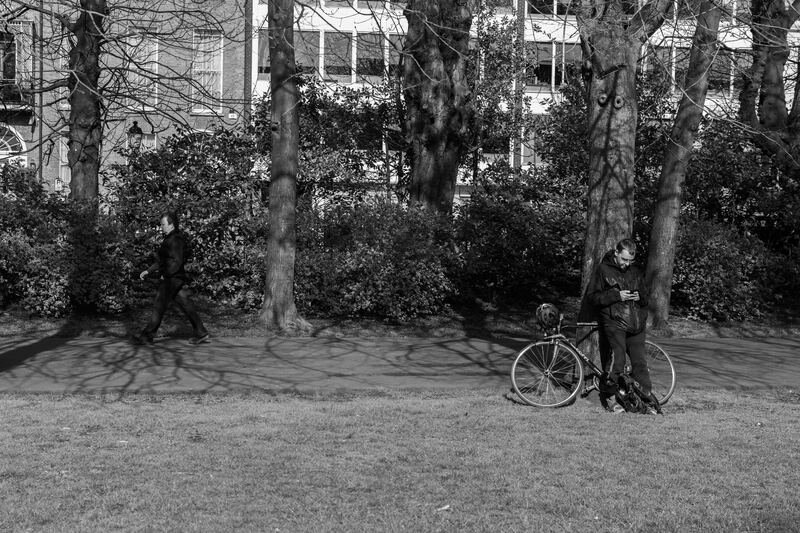 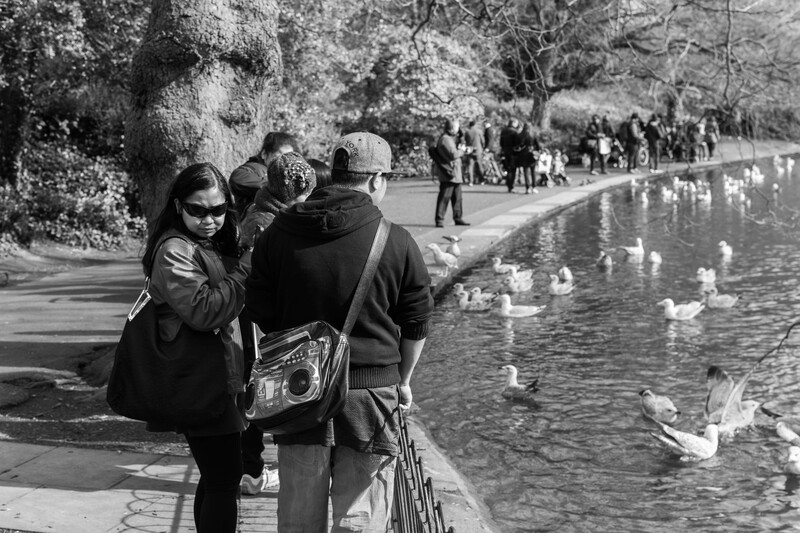 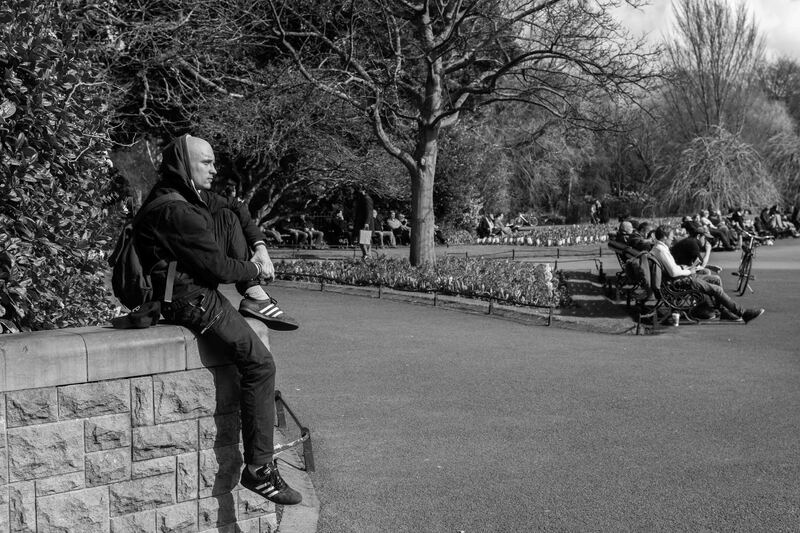 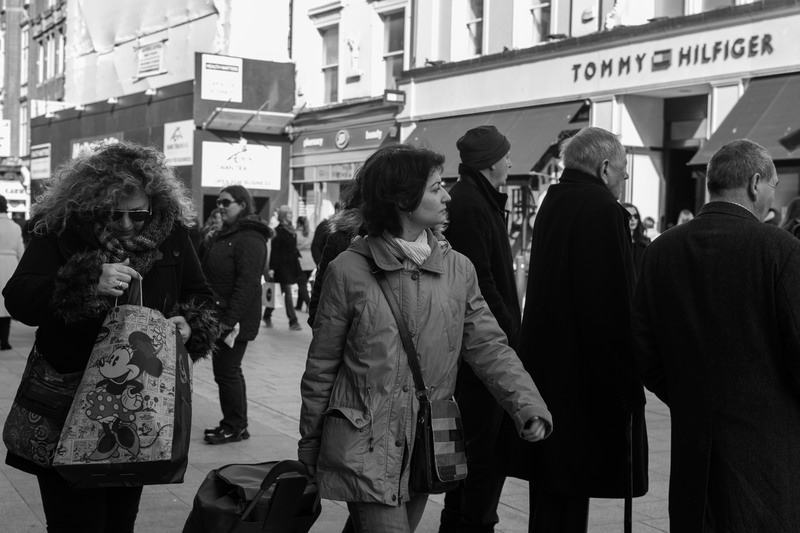 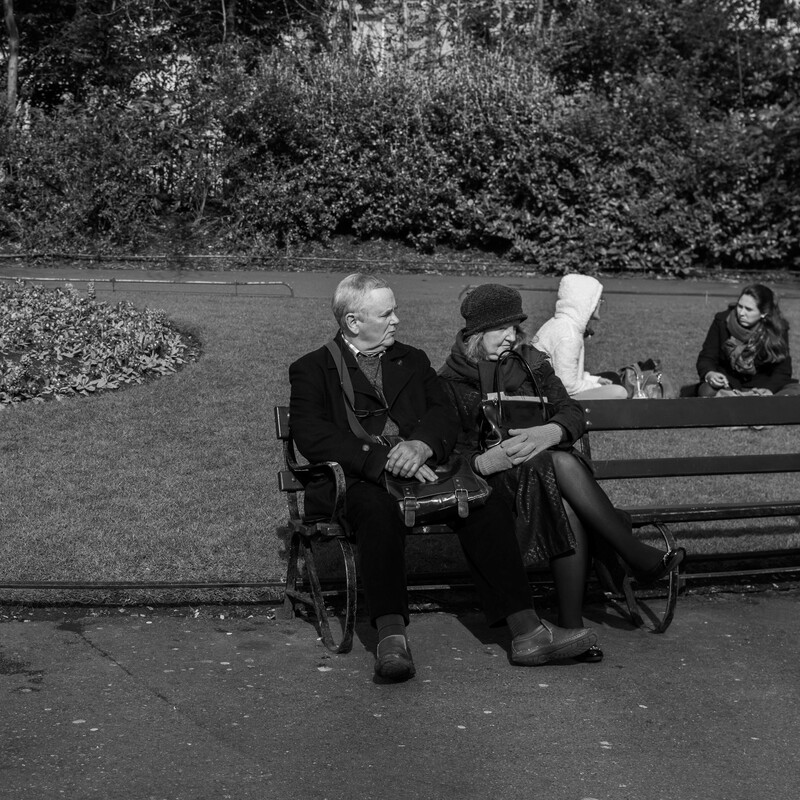 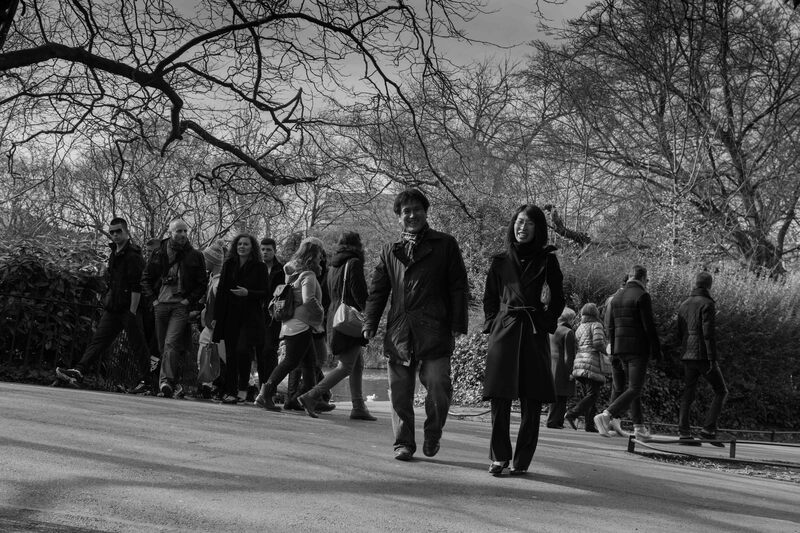 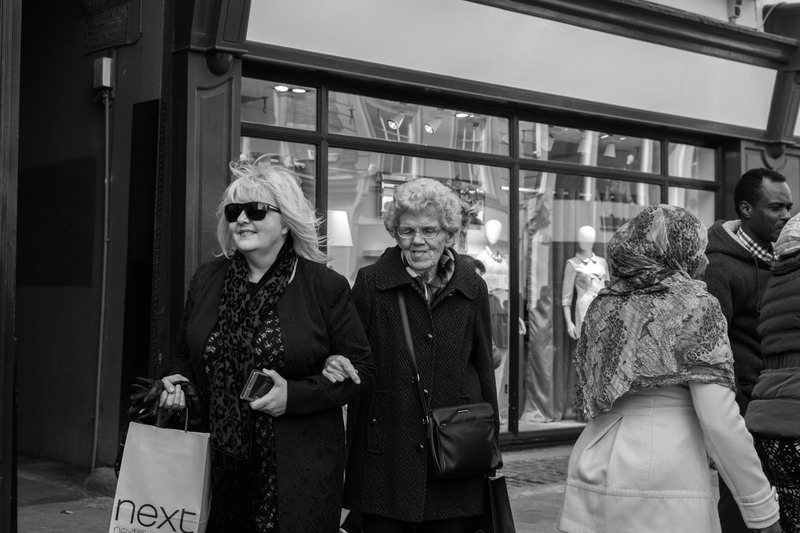 The shots in this post were taken in St. Stephen’s Green and along Grafton Street shortly after lunchtime last Sunday.